If your garage door needs an expert technician in the Grants Pass area, look to the experienced professionals at American Industrial Door. 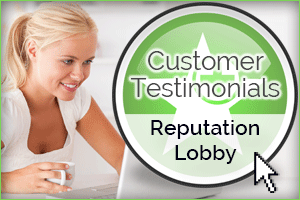 If their 25 years of service to the area wasn’t enough to convince you, their dedication to excellent customer service will show you why more home owners in Grants Pass look to them more often than any other company in the area. American Industrial Door in Grants Pass are the experts when it comes to the installation, repair and maintenance of any type of garage door you may have or need. While many home owners in Grants Pass attempt to install garage doors without the aid of a professional, we have seen too many times how this can result in injuries or damage to your home or your new garage door. Also, it takes the average handy home owner a few days to install a garage door while it takes the experienced technicians of American Industrial Door just a few short hours. And then, we will even dispose of the old door for you, which can be a costly procedure if you try yourself. 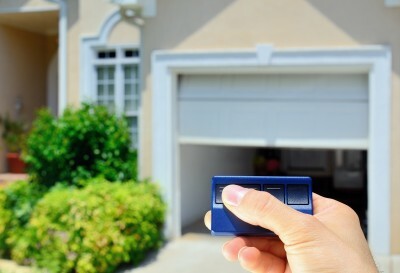 The garage door on your home is the largest moving object of the dwelling and if not installed or repaired correctly, could lead to injury and damage. When handling large projects such as this, it is best to leave it to the professionals of American Industrial Door of Grants Pass. Like with most things with your home, when you choose a garage door you have the opportunity to add value to your home, either during a remodel or with new construction. In addition, the correct garage door can add an increase to security and safety of your family and valuable possessions. Your home is most likely your largest investment and no decision should be entered into without having all the information you need to make the best decision. When you are ready for a new garage door, the knowledgeable team at American Industrial Door will explain to you the differences between steel and wooden garage doors and make sure that you are making the best decision for you and your home. Steel doors require far less maintenance, are more energy efficient and don’t need to be repainted from time to time like a wooden door does. Steel garage doors are becoming more popular with the home owners of Grants Pass because of their longevity, longer warranties and higher levels of energy efficiency. American Industrial Door of Grants Pass wants to be the first name you think of when it comes to the installation, repair or maintenance of your garage doors. We do this by not only being the best at what we do but by also offering the best in customer service in every aspect of what we do, from the first time you call all the way through to the end of the job. Our excellence in customer service includes 24 hour emergency repair, same day response and we also offer extensive discounts to seniors and veterans. Our friendly technicians are licensed, bonded and insured and show respect to our customers in all that we do. We handle all jobs, large and small with the same high level of professionalism from start to finish. When you need any kind of service to your garage door, security shutters or storage shelves, think of the garage door company that your friends and neighbors already consider to be the best. American Industrial Door of Grants Pass is waiting for your call today!